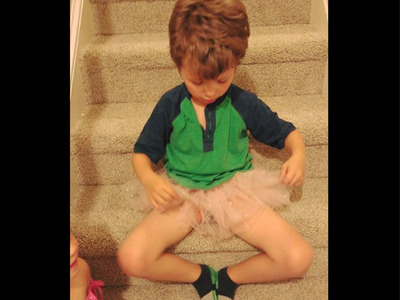 Devon Berryann has a 6-year-old son who loves nail polish and tutus — and she wouldn’t change a thing about him. Last week, the Pennsylvania mum shared a photo of her son wearing a tutu, accompanied by a powerful post about accepting him exactly as he is. It’s already been shared more than 8,000 times. “A couple days ago he came home and told me again about kids teasing him at school for his nail polish, and for the first time ever I considered… taking it off. Because for the first time ever I was scared that he would be gunned down one night when he was out having a good time with his friends,” she wrote, alluding to to the deadly mass shooting at an Orlando gay nightclub last Sunday.